That awkward moment you don’t like your current to do list. 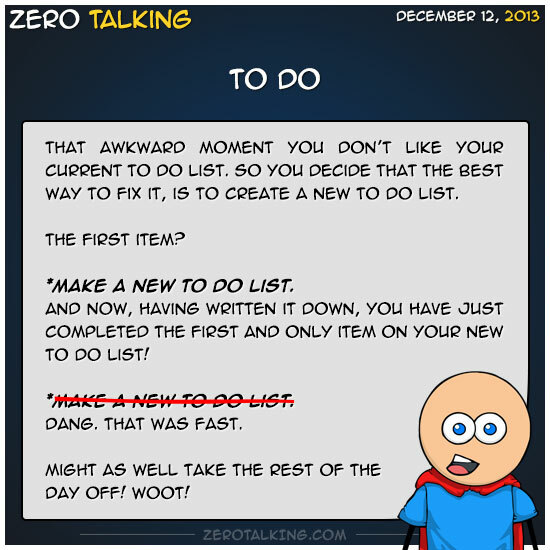 So you decide that the best way to fix it, is to create a new to do list. Make a new to do list. And now, having written it down, you have just completed the first and only item on your new to do list! Might as well take the rest of the day off! Woot!